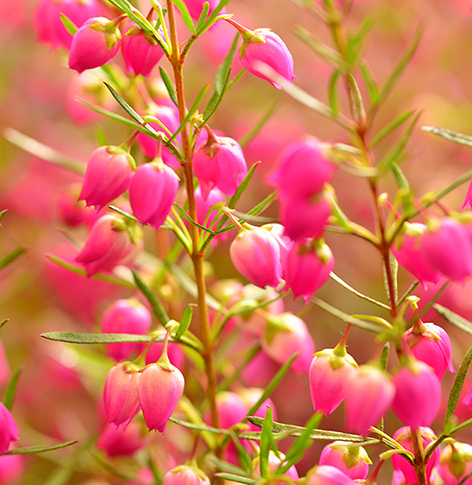 Eleonora Scalseggi has this to say “Boronia absolute is an utterly luxurious aromatic material, very rare, very expensive and most importantly with a heavenly, mouth-watering fruity floral aroma profile. Pourable and dark orange in colour this absolute is warmly yellow floral, sweet violet, infused with sensational fruity juiciness, think of apricots and sweet ripe summer fruit with just a gentle tartness that makes it even more delicious. Solvent extracted from the flowers of Boronia megastigma, a plant belonging to the Rutaceae family (hence a relative of citruses, no wonder why the flowers smell so heavenly) and growing in very limited areas in South Western Australia, this is possibly the only absolute containing natural ionones, mostly beta-ionone but also smaller amounts of alpha-ionone. Despite the fairly high ionone content the violet feature is far from being dominant in its aroma profile, it’s just a beautiful detail within a masterpiece of far greater splendour, truly exquisite – you could find yourself drooling after a while you have been smelling it on a smelling strip!